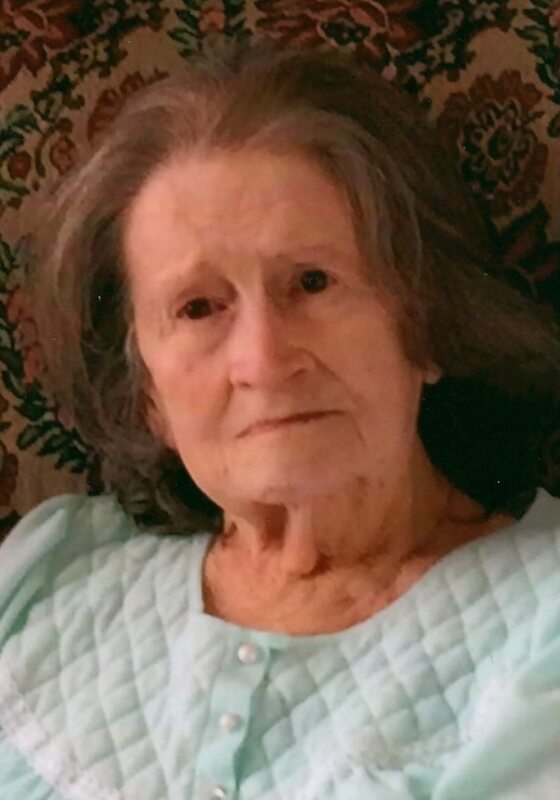 Janice Smith 85, of Richwood, died peacefully Wednesday afternoon, January 23, 2019 at home. Janice Eileen Smith was born January 15, 1934 to the late Hazel (Ross) and Glen Bevis. She was also preceded in death by sister Carolyn Goins and granddaughter Camma Rees. Jan was a 1952 Marion Harding High School graduate where she wrote the song for her class song. Jan received an Associate degree from Marion Technical College. She worked as a payroll specialist at the Marion Technical College for 20 years, retiring in 1996. Jan was a longtime, dedicated member of the Marion Grace Church. She married Berkeley (Bud) Smith on September 21, 1952 and they have enjoyed over 66 years of marriage. Her husband, Bud survives, also surviving are their children: Yayon (Stephen) Chapman, Apex NC; Pam Dell, Reynoldsburg; Sean (Sandy) Smith, Mt. Victory; Wendy (Scott) Kirkpatrick, Hickory NC; Grandchildren: Tom (Kelly) Rees; Jerusha Rees; Stephanie (Jimmy) Baughan; Patricia Kirkpatrick; Clinton (Terri)Chapman; Tristan ( Melissa) Kirkpatrick; Great Grandchildren: Ariel, Brianna, Lucia, Tessa, Mitchell, Vincent, Malachi. Jan was a person of faith and served in various church ministries over the years. Her work as Youth director, member of the Church's choir and eventually Choir Director allowed her allegiance to the Lord to be expressed in Christian service work. Jan enjoyed various hobbies which included such events as: Singing in a Christian music group called the Just Us Singers where she learned playing a guitar and later learned to play the hammer dulcimer instrument that added to her love for music; Caring for the family pets of cats, dogs, horses, chickens and goats that reflected her love of animals; Reading over the years which characterized her as an avid reader of many different genres of books; Expressing her creative artistic skills in painting, sculpting, drawing, and even teaching art skills. Funeral services will be held Monday January 28, 2019 at 11:00am at the Stofcheck-Ballinger Funeral Home in Richwood, Rev. Stephen Chapman will officiate, burial will follow in the Claibourne Cemetery, friends may call at Sunday from 2-5 pm at the funeral home in Richwood. Bud: I’m sorry for your loss of Jan. May God be a source of comfort during this difficult time. I will keep you and your family in my prayers. I remember when the family ran the old Moore's Store in Richwood, now so many, many years ago. I believe Bud and Jan worked there with Bud's parents. It is difficult saying goodbye to loved ones, but we live on believing we will see them again. Condolences to the family at this time of loss. Dear Bud and family and everyone else who loved Jan so very much, So sorry for the loss of your beloved wife, mother, grandmother, best friend, teacher, Great Grandmother, wonderful disciple of the Lord and everything else that Jan was, May God wrap His loving arms around each one who loved Jan so very much and give you comfort, love, peace, calmness, and understanding! Jan was a wonderful, loving friend! God Bless each and everyone one of you! Our sincere condolences in the loss of you loved one, may our fond memories bring you comfort in sorrows times. Knowing she is with the Lord our God is a blessing for you all, Prayers! Sending you all love and prayers for strength and comfort. ah, praise the Lord! there is no doubt where Jan is now and I believe Mabel DeBolt will be there to greet her!! I will forever hold the wonderful memories of my dear friend in my heart. Our standing line to each other was “ we could always go to Pittsburg”. A gentleman at the Sakvation Army factory where we sang had told us that he could book us there. To just say the word. It was a blessing to call her and Budd my friend. I love each of her children too. With deepest sympathy and love to you in the passing of Jan. She was a beautiful lady and a friend to many. Sincere sympathies for the family. Jan was a welcoming and loving person. How my heart aches with you at our loss of precious Jan. What a blessing to have known and loved her. Please know that I am lifting you in prayer for His Peace that passes all understanding. Bud, Yayon and the entire Smith Family, So sorry to hear about Janice's passing. She was truly an inspiration to all who knew her. Hold your dear memories close to your heart and share them with one another. May God Bless and Comfort you through this difficult time. Dear Bud, so very sorry to hear about Janice. One of the things we looked forward to when back in Ohio was to touch base with you and Jan at family gatherings. She was a strong and determined lady who worked to keep family ties together. We have the same Ross great grandparents, our mothers were sisters and growing up we lived about two blocks apart. As our families grew and moved to different parts of the country, she, my sister Fran, and now my niece Robin kept the Suda-Phelps and the Bevis-Smith families in communication. She will be missed by many and loved by all. Our sincere condolences on the loss of Jan. I remember the times we spent in Ohio as kids. Just a couple of city girls having fun with their cousins. The lazy days, the car rides (always singing), the giggles at nighttime, the camping trips, the animals...so many delicious memories. Prayers for your loss of your wife and mother...so many fond memories of her as my bus driver..Her contagious never- ending smile would make anyone she touched feel so welcome. She was a beautiful person inside and out. "Do not let your hearts be troubled. You believe in God; believe also in me. My father's house has many rooms; if that were not so, would I have told you that I am going there to prepare a place for you? And if I go and prepare a place for you, I will come back and take you to be with me that you also may be where I am." Within my generationally challenged family (wide age gap between siblings) Bud and Janice were the ones who we knew best. This ever generous,kind and compassionate couple invited us in to their family life. Janice was my cousin but was of an age where her children were my age. My older sister Chris and I spent time in the vastly fasanitating country. For two little girls from the city it was always an adventure shared with Yayon and Pam and later on with Sean and Wendy. I meet by husband because of your ministry to the youth in your community and thereby my children and grandchildren are also a result of your open hearts and open coffee pot in a kitchen where regular guests to your home had their own coffee cup and an open ear awaiting them. No one needs to tell you that Janice's faith was strong but that she and Bud strengthened that faith within so many others and always touched our hearts with G-d's love and grace. Sandy and I are very saddened to hear of Janice's passing. We will always remember her as such a vibrant, strong, yet easy to visit with personality. Although as a "distant" cousin our visits were infrequent, her friendly warmth and nostalgic memories always made the years since our last meeting seem like no time at all. We know she will be dearly missed, but fondly remembered. Dear Bud and family i have many memories of the times i spent with Jan. They all bring me to point that her guidence and voice in my life were special to me. It’s thease that i will miss , my condolences to your family . Sorry to read about Jan's passing, we spent many mornings in your house in Richwood practicing guitar for the Just-us-Singers, that's where I really learned how to play guitar. I have many fond memories of those days. My fondest memories of my childhood was with Jan, Bud Yayon and Steve. Jan was often the parent I never had and became my friend. She was fierce, bold, loving and blessed by God. I miss all of those times, and my memories are now my strength. Jan thank you for being a Blessing in my life, say Hi to my mom and dad, I will see you in heaven.